The 2019 Acura RDX is loaded with all of the advanced safety features that will keep you and your family protected on the streets and highways in and around Niles. From its Collision Mitigation Braking System™ to its Lane Keeping Assist feature, this smart luxury crossover has the technologies that will give you confidence and an extra level of control wherever your road takes you. Collision Mitigation Braking System™: Alerts you to the possibility of a collision when a vehicle is detected directly in front of your RDX. 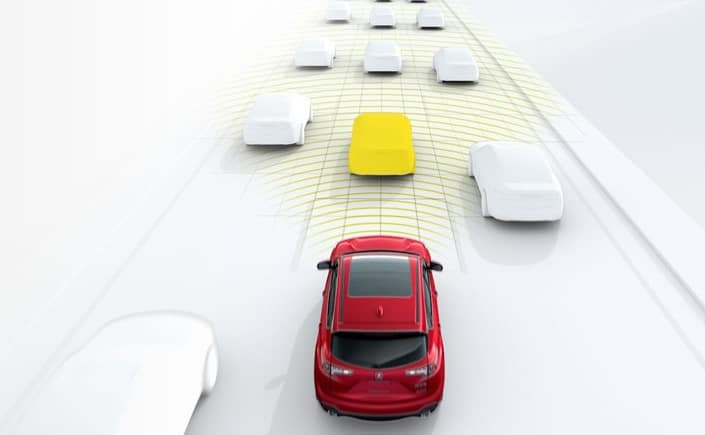 Adaptive Cruise Control: With Low Speed Follow, this system maintains a safe distance between you and the vehicle ahead, and can automatically apply the brakes if necessary. This is a feature that Niles drivers will appreciate. Lane Keeping Assist System: Will keep your RDX centered in its lane, applying corrective steering if the vehicle drifts. Road Departure Mitigation: This smart feature is designed to automatically keep the RDX from unintentionally leaving the road on Oak Park.area highways. 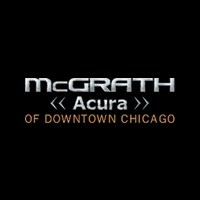 Compare the Acura RDX vs. BMW X3 or the Acura RDX vs. INFINITI QX50, then stop by McGrath Acura of Downtown Chicago near Riverside to test drive this dynamic luxury crossover SUV today.